Why Is It So Easy To Own A Tiger In America? 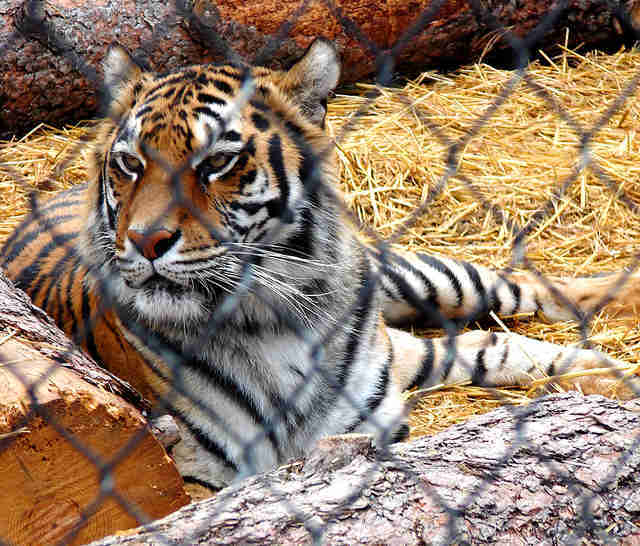 No one needs a tiger - but there are more captive tigers in the U.S. than there are wild tigers in the world. And of those captive tigers, 94 percent are in non-accredited private hands like roadside tourist attractions or your neighbor's backyard, according to WWF. 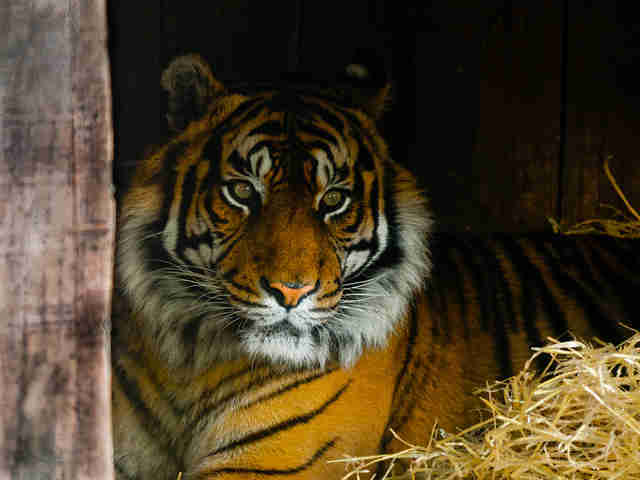 The American Bar Association wants that to change, and is urging the federal, local and state governments to enact laws banning the possession, breeding, sale and import of exotic animals. The ABA's Resolution 105, which was passed last month, states that comprehensive exotic animal legislation would "ensure the humane treatment and welfare of such animals," though it makes exceptions for nonprofit sanctuaries, zoos and research institutions. "Keeping wild animals in captivity is inherently cruel, as it deprives them of the ability to freely engage in instinctual behaviors in their natural environment," the New York City Bar's Animal Law Committee wrote in a letter supporting the resolution. 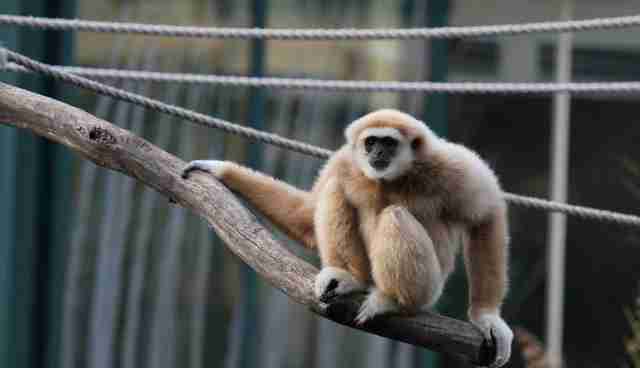 Surprisingly, there are no federal laws regulating the possession of exotic animals, according to the letter. This means that regulations regarding exotic animals as pets are left entirely up to states - and many states have limited or insufficient laws. Chris Green, director of legislative affairs for the Animal Legal Defense Fund and the lawyer who introduced the ABA resolution, noted in a post on the ALDF website on Monday that five states don't even have any laws regarding ownership of exotic pets: Alabama, Nevada, North Carolina, South Carolina and Wisconsin. Without regulation, residents of these states are perfectly free to keep an elephant or hippo or lion in their backyard without so much as a permit, let alone proper training in animal husbandry. 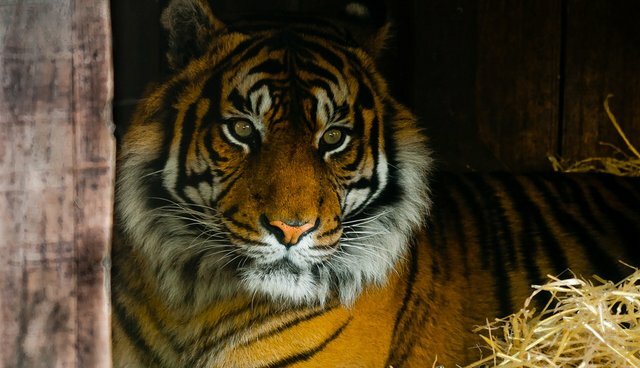 Ohio was one of the last two states to introduce exotic animal legislation, after the 2011 Zanesville Massacre where a depressed owner released his private menagerie before killing himself, leading to the deaths of 49 animals including lions, bears and 18 rare Bengal tigers. If legislators take note of the ABA resolution, the results could be liberating for the country's "pet" exotic animals, many of whom are kept in substandard environments with owners who are ill-suited to care for them. 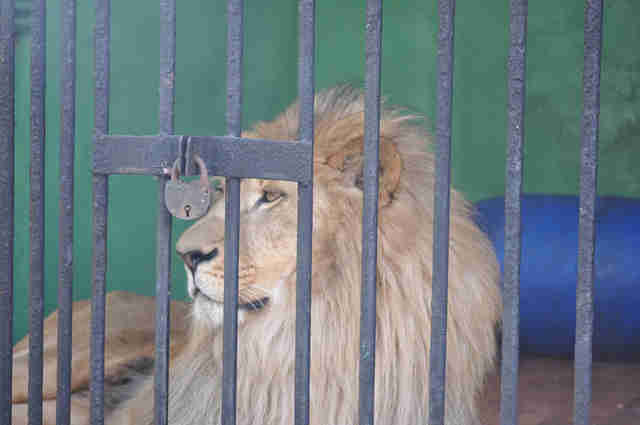 Green noted that such laws would prevent future cases like those of Tony the tiger, who is currently locked up at a Louisiana truck stop despite the owner's history of Animal Welfare Act violations, and Ricky the bear, who was freed in February after spending 16 years locked in a small cage outside a Pennsylvania ice cream parlor. Banning exotic pets would also put a damper on the exotic wildlife trade, a largely criminal industry that has ties to drug trafficking and poaching and engages in questionable practices such as outright animal abuse, selling wild-caught animals and tearing young animals away from their mothers. It would also be a good move for humans - Green noted that more than 40 people have died in the U.S. over the past 25 years from encounters with improperly kept exotic pets.